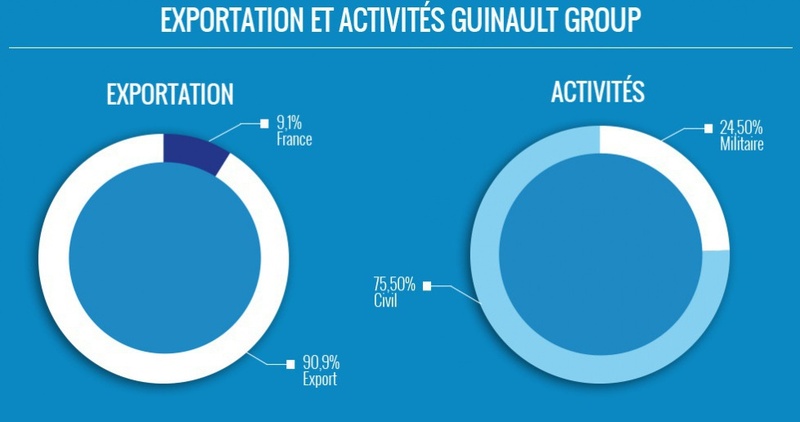 Today, GUINAULT company employs more than 140 people in France near Orléans. Guinault machines are deployed on 5 continents in 125 countries, including the United Arab Emirates, United States, Germany, Singapore, Brazil, Japan, etc. More than a manufacturer of equipment, Guinault ensures through its proposed solutions that aircraft engines (and auxiliary engines such as APU) are no longer used on the ground, significantly reducing the environmental impact and operating costs of the airlines. GUINAULT has been supplying the European aeronautics industry for more than 60 years. Maurice GUINAULT founded the company GUINAULT in 1949. The generators of the time mainly supplied continuous electric current at 28 volts to airplanes. In the early 1970s, GUINAULT manufactured the first 400Hz ground power unit produced in France for the Boeing 707, which was a novelty on French soil. In the early 1990s GUINAULT manufactured the first multi-voltage GPU, based on multi-coil alternators. Customers included Dassault (Mirage aircraft), Aerospatiale (now EADS) and Sud Aviation (now Eurocopter). In 2000, GUINAULT designed the variable speed electronically controlled pneumatic starting unit (ASU), while the first 400 Hz static converter was designed and produced in 2001. In 2010, GUINAULT jointly designed a unique, ultra-compact and electronically controlled air conditioning unit for military applications with a refrigeration partner and developed a complete range. Guinault has been continuously growing for 12 years and is regularly recruiting near Orléans (France) to ensure its continued development . The technical jobs carried out at Guinault are performed by electronic, electrical, industrial refrigeration and mechanical engineers, senior technicians in the same disciplines, test technicians and developers. The Procurement, Industrialisation and Supplies and Manufacturing Logistics (electrical cables, electromechanics) Departments ensure the quality of our products.Technological expertise and manufacturing quality are the founding values of our company culture of technical innovation and commercial development. Our sales engineers ensure the growth of our sales in more than 100 countries, by managing a network of international trading partners. Last but not least, our after-sales service provides technical support to all 5 continents. We strongly believe in a variety of backgrounds, and in developing skills through work and training. With an average age of 37, Guinault is a young company yet still very experienced. We believe in human talent, and rely on the loyalty of our teams. Guinault company has been pursuing solid, reasonable and uninterrupted growth since 2003, reaching a turnover of 51 million euros in 2017. With an average growth of 13% in revenue per year, Guinault demonstrates exceptional dynamism in industrial activity. Guinault owes its growth to its internal forces, its development being only organic (by increasing activity without acquiring an external company). As a family group, Guinault is managed in the way a good parent would manage a family. Its financial strategy is to encourage the professional development of its employees and the long-term sustainability of its activities. Guinault has been profitable without interruption since 2003, and capitalises the majority of its results to finance its development. Guinault exports to more than 90 countries on 5 continents. 90% of its activity is carried out outside the country of manufacture. Military activity accounts for one quarter of its activity. This highly technological activity is a source of advanced technical developments, which are, where appropriate, applied to the civilian sectors. The manufacturing site produces electrical machines (GPU, frequency converter), starter compressors (ASU), and air conditioning units (ACU) is located in Saint Cyr en Val, 10 minutes south of Orléans, near the university campus of the Source, in a wooded area, bordering Sologne. The company is made up of 6 industrial buildings, each specialising a type of manufactured product. The offices which are located in the heart of the industrial site to promote better communication between the offices and workshops, are performance generators. The location allows the entire staff to always stay in touch with our manufactured products, the purpose of our industrial process. One hour from Paris by train, near the chateaux of the Loire, the Orléans region enjoys a mild climate on the Loire. The population of Orléans is 250,000. Orléans has become a very pleasant city to live in with its research centres on the university campus of the Source, its pedestrian quarters and its refreshing Loire river plazas. Its central location and proximity to major highways, makes it easy to reach the 4 corners of France.